The Jon “Bones” Jones walkout gear for UFC Live: Jones vs Matyushenko will be made by FORM Athletics. This event will be aired on the Versus channel. Jones will be outfitted from “head to toe”, complete with the Jon Jones FORM T shirt, fight shorts, MMA hoodie and hat. FORM Athletics is the sportswear company founded by WEC fighter Urijah Faber. 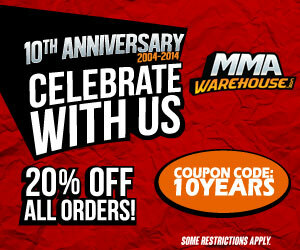 His mission was to introduce a fresh, simple and sportier design to MMA apparel. As you can see, the FORM athletics clothing for Jon Jones is definitely sporty. They all have bright colors and bold shapes. These design elements provide a cleaner look and that is pure FORM athletics style. Jon Jones nickname BONES logo is positioned prominently on all clothing and shares similar style lettering to the FORM logo.